WFT Cloud, a fully owned subsidiary of Wharfedale Technologies Inc. (WFT), is a leading professional IT services consulting firm specializing in cloud system infrastructure integration and operational management services for SAP® solutions. 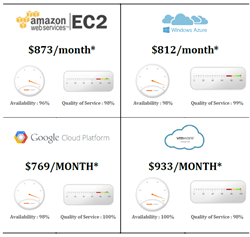 Today, WFT Cloud unveiled its newest Cloud Comparator Tool, which can help enterprises compare multiple cloud options while looking to migrate their SAP Landscape to the Cloud. WFT Cloud provides cloud migration services to help users plan, access and migrate existing applications to cloud. Through the use of applied cloud techniques and innovative tools, WFT Cloud S4 HANA migration services provide simplified and cost-effective SAP application migration services to Cloud. With its broad cloud portfolio, robust data privacy and deep expertise, WFT Cloud provides its customers, the security and scalability to realize the benefits of the Cloud. WFT, with its expertise in SAP infrastructure and application management, has collated its integration experience to optimize and migrate SAP applications that can functionally co-exist with on-premise applications. 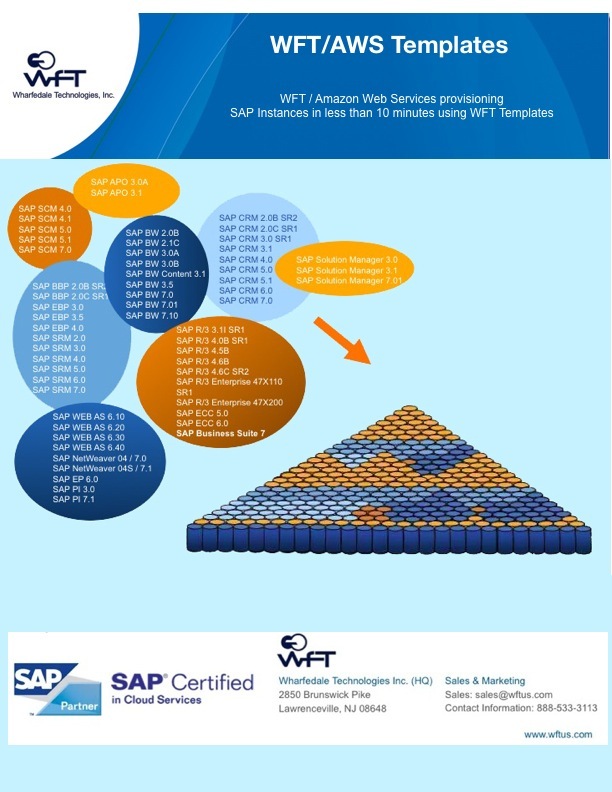 WFT Cloud simplifies the whole process of SAP to Cloud migration with experienced and certified professionals within WFT’s Global Migration Center of Excellence. 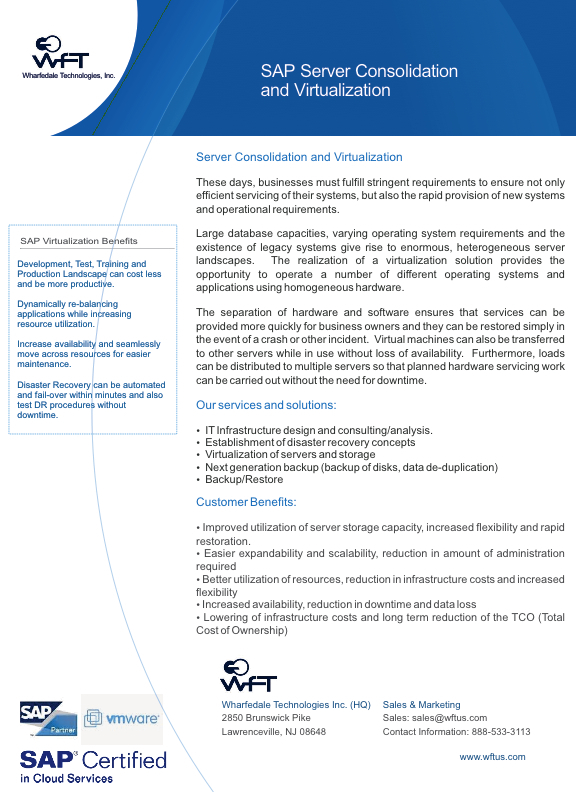 WFT Cloud with its highly available, resilient cloud infrastructure delivers reduced cycle time and IT capital for SAP applications. WFT can also help enterprise customers manage, monitor and migrate their SAP applications to cloud with its vendor agnostic cloud based delivery model making their businesses stronger and more innovative on a cloud platform. Through the innovation of its new Cloud Comparator Tool, WFT Cloud can provide customers the right information and obtain a comprehensive multi-page quote, to make the Cloud move, at the right time! Wharfedale Technologies Inc. (WFT Cloud) is a leading technology consulting firm specializing in infrastructure integrations and services for enterprise solutions, as well as private/public/hybrid cloud solutions. As an enterprise-certified provider of cloud and hosting services, Wharfedale also offers enterprise solutions around high availability, disaster recovery, advanced sizing for virtualization, backup/recovery integration, systems refresh automation and landscape optimization. All SAP logos are trademarks or registered trademarks of SAP AG in Germany and in several other countries. All other product and service names mentioned are the trademarks of their respective companies.